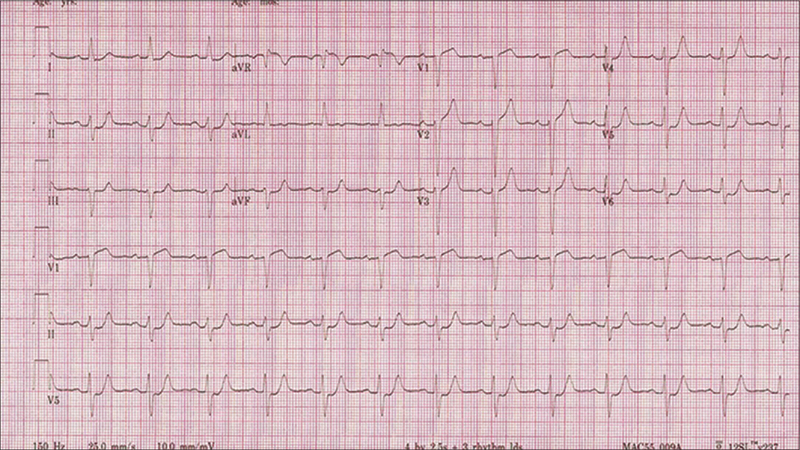 A 69-year-old male patient presents to a remote British Columbia Emergency Room with chest pain. The pain has been intermittently present for approximately 5 days, and he had initially presented 3 days earlier, at which time, an electrocardiogram (ECG) was recorded [Figure 1]. At that visit, his troponin level was negative (<40 ng/L). Figure 1: Electrocardiogram recorded 3 days before the day of presentation. He is a lifelong non-smoker, without a family history of premature coronary artery disease. He takes ramipril for elevated blood pressure and takes rosuvastatin for an adverse lipid profile. He is not known to be diabetic. His weight is 100 kg. He presents now because the pain worsened about an hour ago, with radiation for the first time into the left arm. Vital signs include a pulse of 80/min, blood pressure of 130/80 mmHg, respiratory rate of 16/min and oxygen saturation of 97%. Heart sounds are normal, and the chest is clear to auscultation, with no peripheral oedema evident. Another electrocardiogram is obtained [Figure 2]. 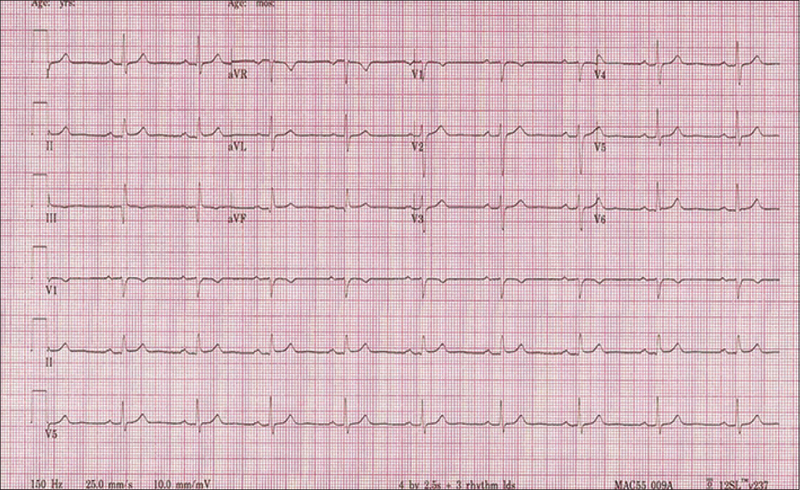 Figure 2: Electrocardiogram recorded during chest pain on the day of presentation. The computer interpretation reads: 'ST elevation – consider anterior injury or acute infarct'. What is your interpretation, and what are the next steps? Is thrombolysis indicated?